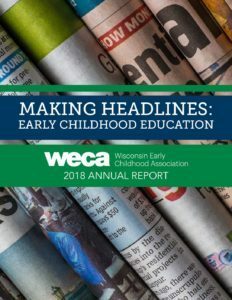 If you’ve been reading the news lately, you are aware that early care and education is making headlines; here are just a few: “Republicans and Democrats are taking early education more seriously,” “Want to Grow the Economy? 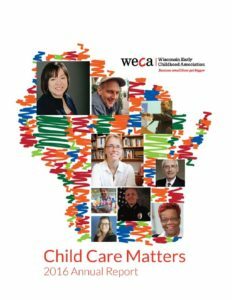 Fix the Child Care Crises,” “At the Breaking Point – How to Better Compensate and Support Teachers of our Youngest Learners,” “Taking on the Child Care Crisis in Monroe and Vernon Counties” and so many more. 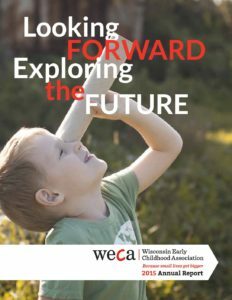 Wisconsin is taking notice of a crisis that threatens the well-being of children, families, early childhood educators, business community and our communities all across the state. 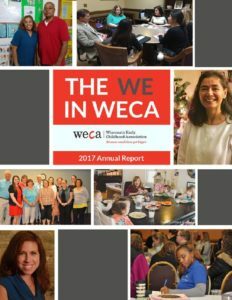 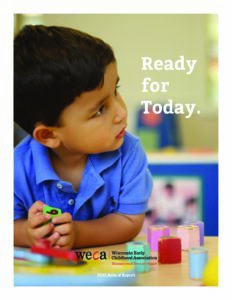 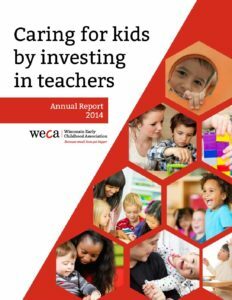 Get the scoop of what WECA is about, review our 2018 Annual Report which provides a good overview of our work, achievements, and financials. 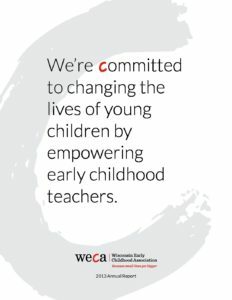 Print copies are available upon request.